If you own a Nexus 6 and keep your eye on current events, you will be pretty aware that the smartphone is suffering from issues with the back cover. 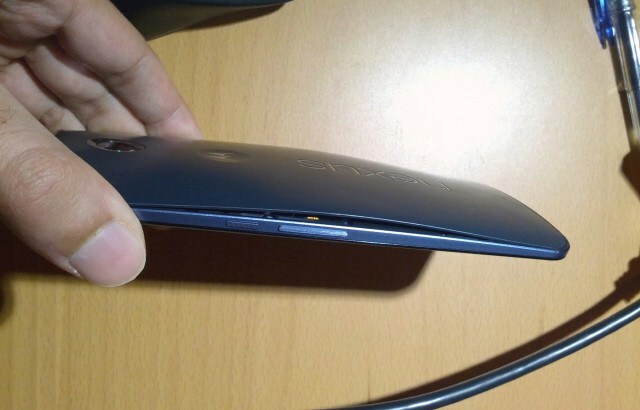 Some users recently started seeing the back cover of the Nexus 6 peeling off on its own, as shown in the image above. As these cases started growing in number, Motorola has now confirmed that this is a legitimate issue and is even offering replacements to affected users. One user on Twitter had bad luck strike twice as even the replacement unit started seeing the same issue. However, Motorola was kind enough to offer another unit. So there you have it folks. If you’re seeing the back cover of the Nexus 6 peeling off its groove, it might be ideal to take it down to the nearest Motorola outlet. We’re pretty sure Motorola will have a permanent solution for this issue as it’s not feasible to keep offering replacements for every reported case. If you see yourself suffering from the same issue, make sure you give Motorola a call or head over to the nearest support outlet.